If you’re a fan of the Atlanta Botanical Garden and mouthwatering treats then we have the perfect event for you. 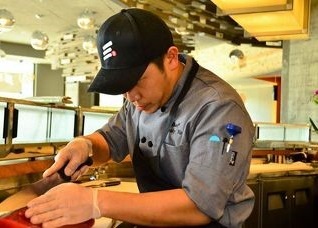 On August 16, Eight Sushi Lounge’s Chef Handy Ho will be showcasing his talents in the form of a four-course small plate menu as a part of the Fresh Plate Series. The event is the perfect opportunity to watch a sushi master at work and learn more about Japanese cuisine. For tickets, location details, and more check out the Atlanta Botanical Garden’s website. See you there!